If you consume coffee, it appears that you’ll have certain health benefits that will allow you to live longer. Coffee has shown to lower your risk of heart disease as well as neurodegenerative health problems, metabolic syndrome and some types of cancer, such as liver and kidney cancer. Also, it can give you the energy and concentration to focus at any task at hand. 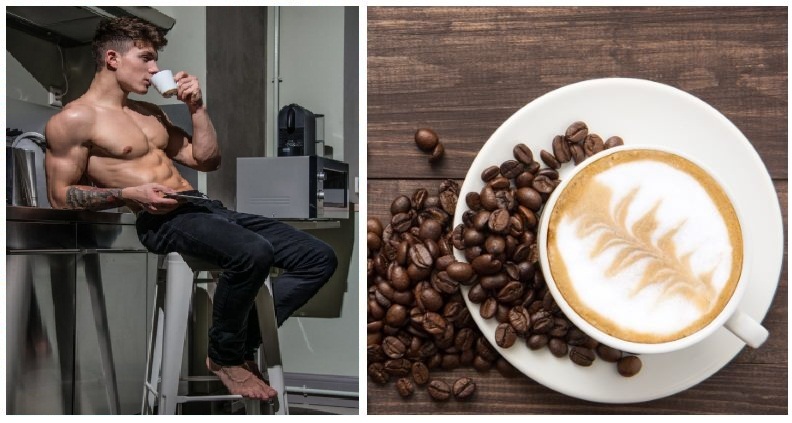 If you’re a biohacker you’re probably not drinking coffee for its taste or its energy boost benefit, but you might be drinking it to serve as a phytochemical carrier of nootropics, protein powder or creatine inside your system. I’ve seen people put a handful of butter in it, as well as MCT oil. What these people don’t understand is that over time, drinking a coffee cup with some saturated fat isn’t as healthy as eating a balanced, nutritional breakfast. However, you can, indeed, put stuff into coffee to enhance its effects, especially on your motivation and creativity, while also reducing some of the stress-inducing effects – this ingredient is cocoa. Remember when your grandma made a cake with it? It’s probably still in her cupboard, and it’s so valuable that you just might need to run and get it right now. Similar to other substances of plant origin, cocoa has a lot, and I mean a lot of phytonutrients in it. It has a ton of polyphenols such as flavonoids and flavanols, but it also has alkaloids such as theobromine, as well as a wide array of bioactive substances. All of these things put together present you with an ability to lower the frequency of heart arrhythmias and the risk of cardiovascular diseases as well, with two simple functions – by lowering blood pressure and boosting endothelial function. Cocoa has been shown to better your insulin sensitivity, help you fight a variety of cancers, but it also helps with your nerves, acting as a neuro-protectant and neuro-enhancer, boosting your cognitive processes. There is actually scientific proof to support this – some researchers from Clarkston and the University of Georgia tested a number of subjects on their cognitive abilities. This test was meant to approximate their motivation, attention, as well as mood and error rates. The subjects that took caffeine with cocoa were far less anxious from the testing process and delivered performances superior to those in the other groups, no matter if they were in a placebo group, or a caffeine/cocoa exclusive. The exact recipe for what these people had is 70mg caffeine, 179mg theobromine, 499mg flavanols and a packet of Truvia sweetener. The research concluded that if you combine coffee, which combats fatigue, with cocoa, which combats anxiety, your attention span benefits greatly. Also, the researchers said that the flavanols and theobromine in the cocoa bonded with the adenosine or benzodiazepine receptors, lowering anxious behavior in the process. Also, they warned that there was another study that demonstrated the time necessary for this anxiety-reducing effect to come into play – apparently, it might need anywhere up to 30 days of daily consumption to benefit from the effects. This might happen because of the up-regulation of the receptors. Before you throw that cocoa in your coffee, you need to know that it hasn’t been put through the Dutch process, known as “Dutching”. Even if it sounds jolly, this isn’t a bunch of pretty Dutch ladies stepping on the cocoa beans to crush them. Instead, it’s a process that treats the beans with alkali, making them darker and reducing their bitterness. The process makes the ground-up coffee easier to mix, but it depletes the flavanol content as well as the anti-oxidative properties of cocoa. Most of the cocoa on the market today has been thoroughly Dutched, but you can find non-Dutched coffee at the Ghirardelli company. It will be in the baking section of your supermarket, instead of the one for the hot beverages. That’s where the sugary cocoas and hot chocolate mixes are located. If you want to boost the effects of coffee on your nervous system and get all the health benefits possible, you will need to put as little as half a gram to three grams in your coffee. One teaspoon is usually around five grams, so anywhere around and less than half that should be fine. Put sweetener in it if you want to. It should be noted that you can also mix in other stuff with your coffee, since the non-Dutched cocoa powder doesn’t really mix well with liquids. Throw in some cream, some coconut oil or butter, if you’ve gone that far down the road. The water and cocoa alongside these things will create an emulsion which will mix far better with the coffee. Alas, if you have time, feel free to just grab a little spoon and try to stir the thing with fervor.